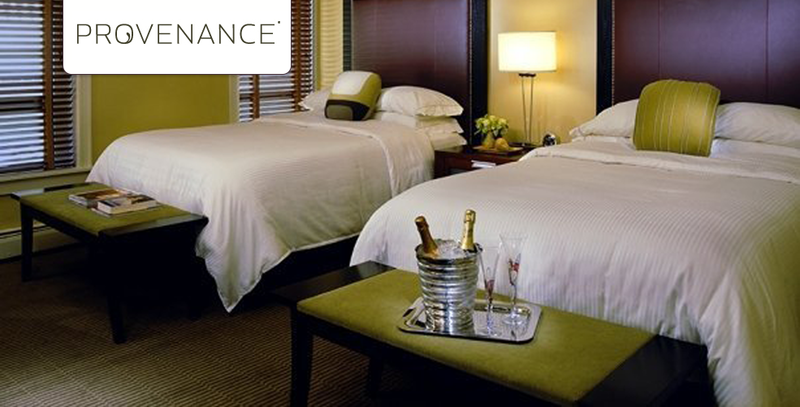 Provenance Hotels owns and operates 5 different boutique-style hotels in Portland, Seattle, Tacoma & Nashville. Social media has exploded, specifically Twitter, over the past year and in order to create more business opportunities Anvil suggested Provenance create a Twitter strategy be used for seeking out customers, rather than customers seeking the hotels. It’s a much more proactive approach to booking hotel rooms. Not only can it help increase revenue, but it can also help create awareness for your property and help establish brand loyalty. Help increase hotel revenue by seeking out potential customers traveling to Provenance’s respective markets. A secondary goal was to use Twitter for customer service-related problems. Twitter users are apt to speaking their mind on Twitter, and actively monitoring and engaging these users will also help provide credibility to the brand and hotel. The biggest challenge was the coordination with each hotel, as they needed to play a significant role in order for each Twitter account to sound authentic and represent the hotel’s personality. Finding this key contributor within each hotel proved difficult as it needed to be someone who understands social media, and is passionate about their work, the hotel and the opportunity to be the “voice” for the hotel. Anvil provided Twitter training to the key contacts at each hotel so they understood what it was, how to use it and why we were using it. Once they understood the potential, each contact began creating tweets based on events, deals, packages, free giveaways, random thoughts, etc. for their respective hotels. Anvil then published the tweets and monitored brand names, twitter names and top keywords to see if anyone was engaging with the hotels. We quickly noticed two big opportunities on Twitter. The first was folks looking for hotel recommendations. Anvil saw tweets asking for hotel recommendations in the cities where Provenance hotels were located. These folks were immediately tweeted back, asking if they were familiar with “X” hotel. This started a conversation and established credibility for the hotels. The second opportunity was more of a customer service/concierge role where guests were asking questions about the hotel, restaurants, dog parks, etc. Anvil worked directly with the hotels to provide answers to these people as well. Many times it helped solidify a booking, or made the difference between a great stay and an OK stay. Customer service will always win over guests. Pieces of customer service have now just moved online. Since the Twitter strategy has been rolled out, Anvil and Provenance have seen huge success, coming in many different forms. Each hotel is consistently booking rooms via Twitter (and a special 15% Twitter rate code) on a monthly basis, as well as building credibility for working so hard to engage and communicate with the Twitter community. Both Anvil (SoMe Award Winner) and Provenance have been recognized for their efforts, with Provenance getting mentioned in a CBS News Travel article (and CBS Early Show video). Additionally, Provenance has received mentions on industry-relevant blogs like Hotel Interactive (specifically for their Facebook campaigns) and Hotel Marketing Strategies due to activity on Twitter (Anvil helps cross promote blog posts and Facebook via Twitter).